While I’ve mostly read about SigFox and LoraWan solutions for long range, low power, and low bitrate communications for the Internet of Things so far, there are many active of planned LPWAN standards for IoT applications, and 3GPP Release 13 standard stipulates two LTE LPWAN standards, namely LTE Cat M1 (eMTC) and LTE Cat NB1 (NB-IoT), with the former supporting 1 Mbps downlink and uplink peak data rates, and the latter 250 Kbps downlink, and 250 Kbps (multi-tone) or 20 Kbps (single tone) uplink data rates. 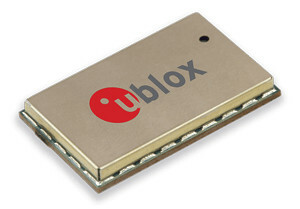 U-Blox has released modules for both standard with SARA-R4 LTE Cat M1 and SATA-N2 NB-IoT modules. Features – Antenna supervisor, embedded IPv4 & IPv6 UDP stack, Firmware update over AT or the air. LPWAN connectivity – LTE Cat M1 single band (SARA-R404M) or multi-band (SARA-R403M); Up to 375 kbps in half duplex mode and 1 mbps in full duplex mode. Both modules are said to offer easy migration from u‑blox 3G and LTE Cat 1 modules, so they must be pin to pin compatible. EVK-N203 evaluation kit is also available for SARA-N203 module. Target applications for either modules include smart home, security systems, industrial monitoring and control, asset tracking, telematics, connected health, smart metering, smart cities, and wearables. Both module should start sampling in Q4 2016. Some more details may be found in u-blox SARA-N2 and SARA-R4 product pages. Wind River Unveils Android User Experience, Connectivity and Medical Modules. Vodafone, for their IoT network, used the UBLOX SARA-N2 modules!